Second day with the Lytro. Above, the freshly unboxed camera. Starting to get the hang of it, but still have a ways to go. Did post a first "living picture" to my personal Lytro page. It isn't great, but shows some of the "refocus" capabilities of the camera. You can click around the frame there and pick what you want to focus on, and zoom in here and there. I've not yet found a way to adjust the exposure in the frame - it just isn't available in the software. Hopefully that's a "not available yet." Shown in the photo is a bit of my back 40. We planted the daisy looking flowers last summer - they've so far been pretty hardy. Have already learned that they're going to need to be kept managed or they'll get out of hand. 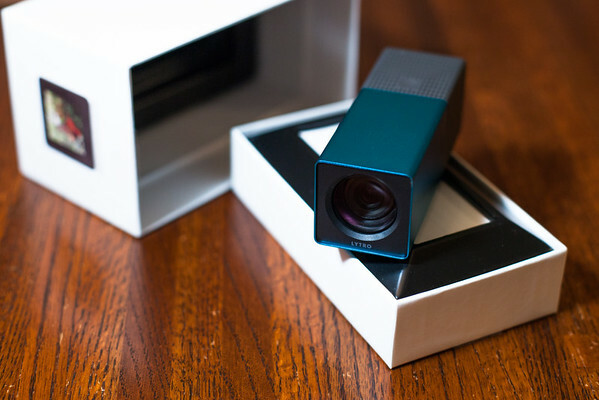 Back to the Lytro Camera - it is still in the early adopter phase here, I think. Interesting gadget which needs some refining and tuning. Off the cuff downsides, it doesn't perform very well in lower light conditions, the view finder is postage stamp small and doesn't really work well at anything other than straight on viewing. There's not any way to lock down the zoom, and, since it is based on a touch sensor along the top edge of the back of the camera, which is near the shutter button, zoom tends to get out of whack unintentionally. The lens cap seems to be easy to lose. It is held on by a magnet, but its closer to the strength of a fridge magnet vs the rare earth stuff in certain proprietary power supply connectors. Most of these things have been noted elsewhere - and weren't unexpected. The cool factor of the gadget, and its unique if still very early features are for me, still appealing. More to come, as time goes on.